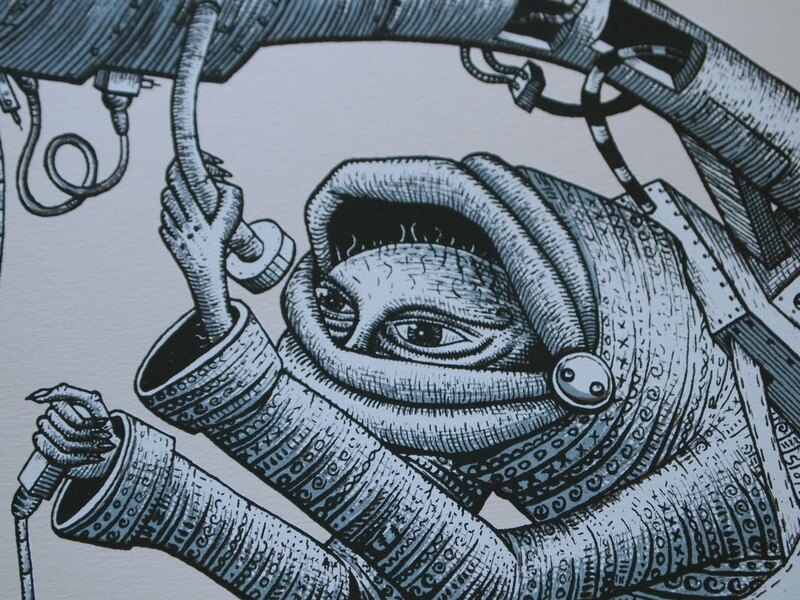 We blogged about Sheffield based artist Phlegm back in September of this year with an impressive time lapse clip which featured almost a hundred hours of painting squeezed into a meditative ten minute time lapse. We have just learned the artist has set up his own print studio and has released a new print 'Point and Measure'. 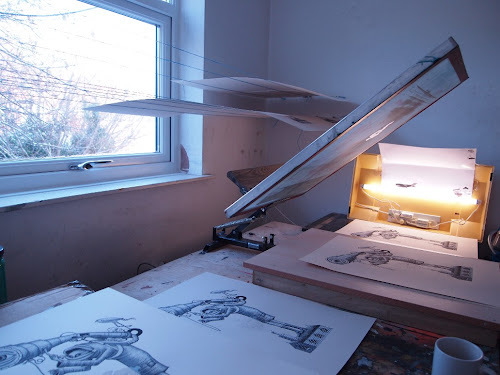 This new print is printed with water based inks on 300g archive quality Fabriano ivory paper and an edition of thirty. Signed and embossed with a made in Sheffield stamp and sized 42cm x 54cm. Even though it's only black and white it's a five colour screen print using overlapping transparent inks to achieve the light and shade. 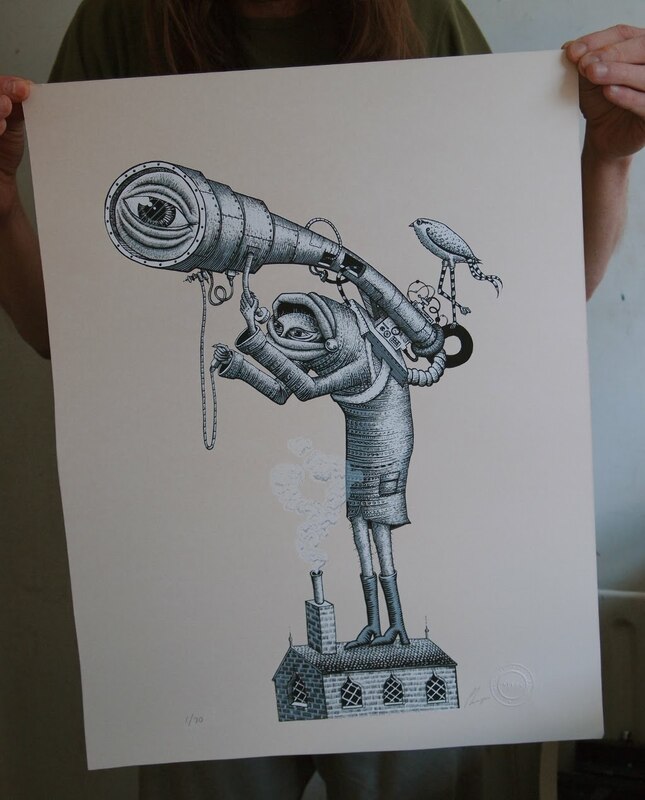 The print is £40 unframed and five pounds for postage and packaging available now from Phlegm's Bigcartel shop.